Poster advertising a program featuring exiled South African lawyers Winston Nagan and Andrew Lukele at 239 Law School on Monday, April 9. 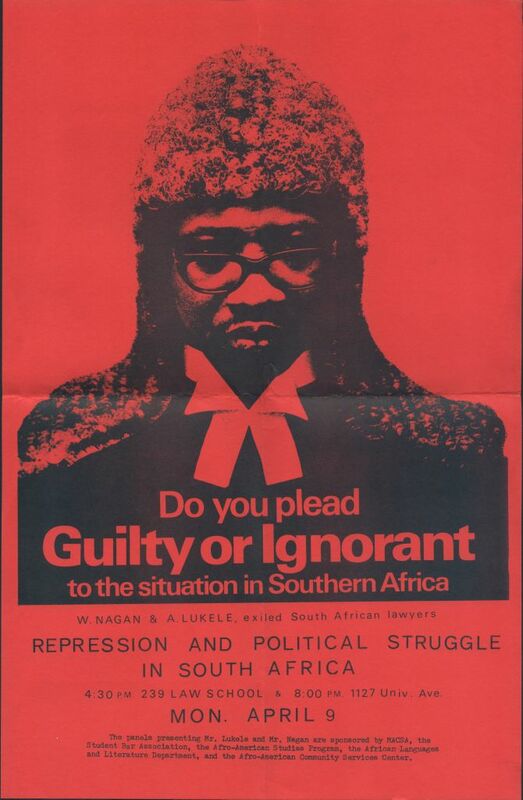 The poster says the panel presenting Lukele and Nagan are sponsored by MACSA, the Student Bar Association, the Afro-American Studies Program, the African Language and Literature Department, and the Afro-American Community Service Program. Size: 16.75 x 11 inches.